One of the best British crime dramas, ITV’s DCI Banks, is up for a third season. The show promised more drama, more intrigue, and features the return of DS Annie Cabbot from maternity leave. Yorkshire is often used as a backdrop for TV shows and tonight will see the return of ITV’s DCI Banks. The police drama is based on the books by Leeds born writer Peter Robinson and stars Stephen Tomlinson in the lead role . “DCI Banks has become a firm favorite amongst the ITV Drama audience and I’m very pleased we have commissioned a third series,” said Tompkinson. 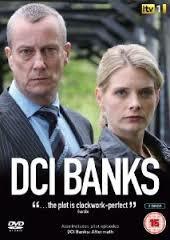 Executive producer Andy Harries added: “I’m delighted by the continued success of DCI Banks. Based on the novels by Peter Robinson, the stories Wednesday’s Child, Piece of My Heart and Bad Boy will each be told over two episodes. Filming will start in August in Yorkshire and the series has been commissioned for ITV by director of drama commissioning Steve November. The series sees the return of DS Annie Cabbot (Lowe) from maternity leave, while DI Helen Morton (Catz) remains as part of Banks’s team. It also introduces Banks’s university dropout daughter Tracy. The third season of ITV’s drama series DCI Banks will premiere on Monday February 3rd at 9pm, it has been announced. Fans of the first two series are sure to be satisfied once again as DS Annie Cabbot (Lowe) rejoins the show from maternity leave.